Luz is situated six kilometres from the town of Lagos along a beautiful sheltered bay. 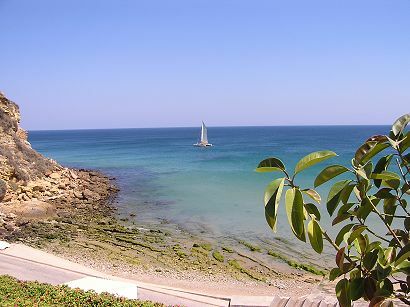 Luz has a wonderful sandy beach with a beach club offering various watersports. There is an walking esplanade along the beach which has an assortment of shops, sea view cafes and restaurants. The village of Burgau is built on a hillside overlooking a small beach, approximately 10 kms from the town of Lagos. Typical Portuguese fishermans houses line cobblestone streets leading down to the beach cove of Burgau. You can still see the local fishermen mending their nets and launching their colorful fishing boats. Scattered along the hillside are restaurants, shops and bars. Easily accessible from Montinhos da Luz and Lagos.